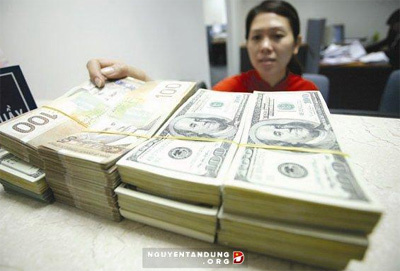 Vietnam’s foreign reserves have hit a record high of 40 billion USD, according to a source from the State Bank of Vietnam (SBV). 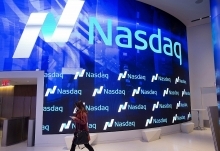 The Saigon Times Online quoted the source as saying that the record was thanks to the achievements of numerous monetary policies, that have been enacted in the past few years. Accordingly, Vietnam’s foreign reserves reached a record high of more than 35 billion USD in 2015, and if gold as well as foreign currencies of the State Treasury and credit institutions deposited at the SBV are taken into account, the volume of the foreign reserves amounted to about 40 billion USD. This is a remarkable improvement since the country’s reserve fund dwindled to 9 billion USD in 2010 due to large trade deficits and undermined confidence in the Vietnamese dong. Earlier this month, Vu Bang, Chairman of the State Securities Commission of Vietnam (SSC), said that Vietnam’s foreign reserves could now cover three months of imports. Former SBV Governor Cao Sy Kiem attributed the rise in foreign reserves to the country’s macro-economic stability and SBV’s success in taming the forex market, lifting confidence in the dong and reducing the dollarisation in the economy. 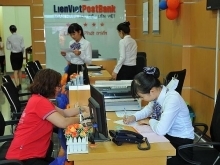 According to the central bank, the rise in the forex reserves has also contributed to enhancing Vietnam’s position on the international market, as shown by the interest rate of bonds issued in international markets, which has fallen sharply from 7.2 percent to 4.8 percent in 2015. This helped reduce the cost of the government’s foreign borrowing. 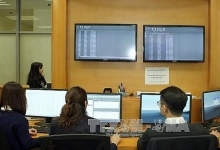 The hike in foreign reserves will also help increase the confidence of investors in Vietnam’s macro policies and enhance the effectiveness of the country’s monetary policy regulation, the central bank said./.